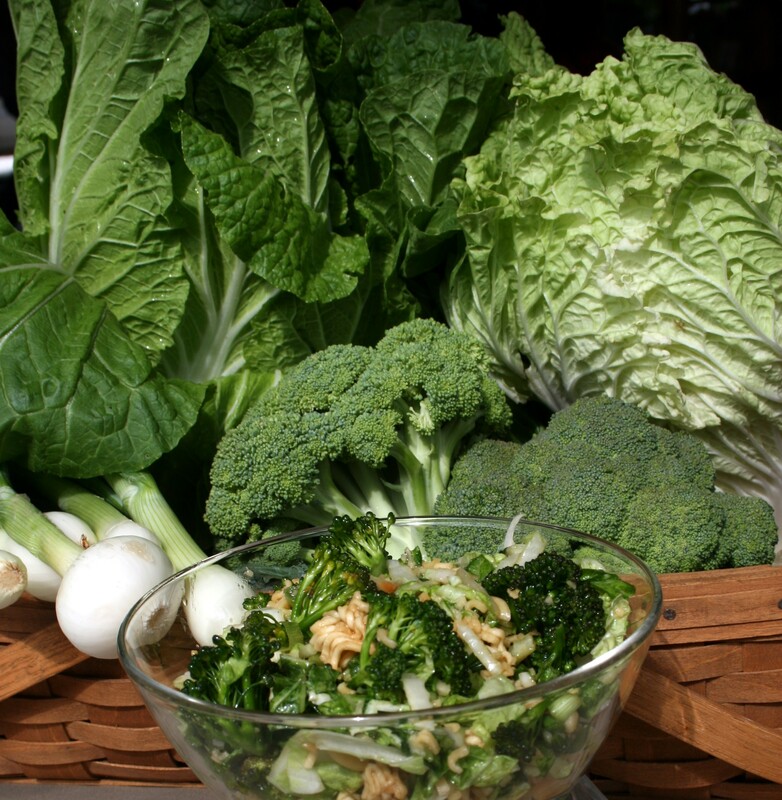 Oriental Cole Slaw with fresh from the market ingredients – Napa and Chinese Cabbage, onions and broccoli. 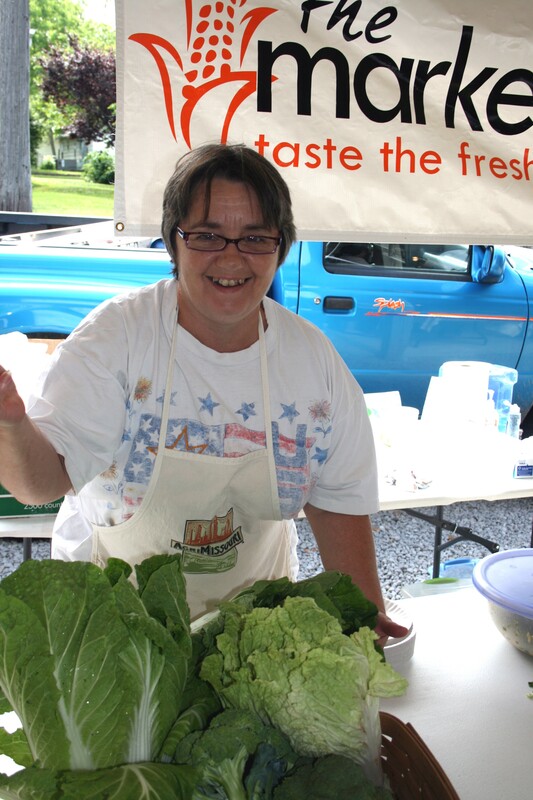 Whether you use Napa Cabbage or Chinese Cabbage for it’s mild flavor or regular head cabbage for it’s bargain price for quantity, you’re going to love this Cole Slaw from our Market Lady Trish Reed. Preheat oven to 350 degrees. Melt butter in a microwave safe bowl in microwave. Crush the ramen noodles into small pieces. Stir crushed noodles and almonds into butter. Spread mixture onto a baking sheet and bake in the preheated oven until brown and crunchy (about 8 to 10 minutes). Allow to cool completely. In a large bowl, toss together shredded cabbage, broccoli crowns and green onions. Whisk together salad oil, vinegar, sugar or sugar substitute, soy sauce and reserved seasoning packets in a separate bowl. Stir the noodle mixture into the dressing and pour over Coleslaw mixture, tossing well. * in season now at a farmers market near you! Trish elbow deep in cabbage at the market.